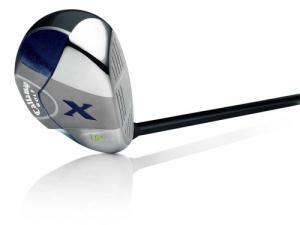 This X Tour club has several upgrades from Callaway's previous models. Callaway made upgrades based on "feedback from the PGA Tour." The thing I like best about this club is the playability out of any lie. Callaway built this club with the same modified X-Sole design featured in their X-hybrids. With a lower leading edge, it clips balls off of the fairway and snatches them out of the rough. What's more is, with the deeper and larger clubface, I can confidently hit it off the tee on those shorter, tight par 4s. Finally, the Callaway X Tour has a "Variable Face Thickness" technology. The club is thicker in the center and ultra-thin around the edges. This provides for more energy transferred to the ball at impact. Another club you should check out before you buy this one is the Nickent 4DX Fairway Wood. This club matches up well with the Callaway X Tour. It utilizes some pretty cool science as well with its brazing technology that fuses steel and titanium without using epoxy. Combined with their XW inserts, this gives the 4DX Fairway Wood a high MOI and a huge sweet spot. Both clubs are good-looking clubs with the latest and greatest technology. Hit ‘em well!